While more people are able to get online across Africa—on track to reach 500 million users by 2020—many still lack digital skills. Without skilled people who can take full advantage of the opportunities that the internet brings, communities won’t be able to access the opportunities to build businesses, create jobs and boost economic growth. To help close this skills gap, in April we announced a commitment to train 1 million Africans in digital skills within a year. Six months later, we’re proud to update that we’ve reached the halfway mark. More than 500,000 Africans have received training that will help them to become business entrepreneurs, find employment and contribute to economic growth across the continent. We have worked closely with partners across the continent to provide, face-to-face trainings. 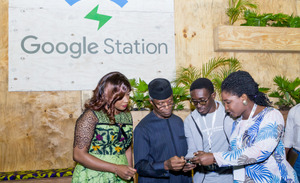 We also know that there are many people across the continent who are unable to attend in person training sessions and who want to acquire digital skills in their own time, from their own phone or computer. To address this challenge, we recently launched a new Digital Skills Africa online portal accessible via desktop or mobile. The portal contains 89 online lessons on a wide range of digital subjects including web analytics, social media management and mobile marketing. It’s being made available in English, French and, in the near future, Portuguese. 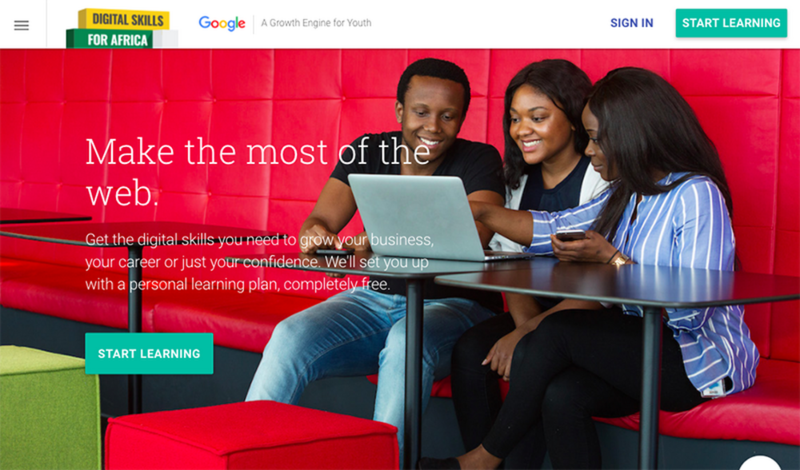 One of our trainees, Esalako Hillary from Nairobi, signed up for the digital skills program to learn how to use online tools to promote his new company Entrevene Africa—a social enterprise that encourages entrepreneurship among university students. After the training he realized that, in addition to promoting his company, he could also offer a digital marketing service as an additional offering to his clients. Four months later, and Esalako and his team have expanded their business and grown their revenues by over 60 percent. Helping people in Africa take advantage of the web is a task that requires efforts across the public and private sectors, and we’re very grateful to the many partners and collaborators that have played important roles in helping to train 500,000 people across the continent. We hope that through this and similar programs, Africans will be able to reap even greater benefits from the internet.